Blair Peach funeral. Southall west London 1979. 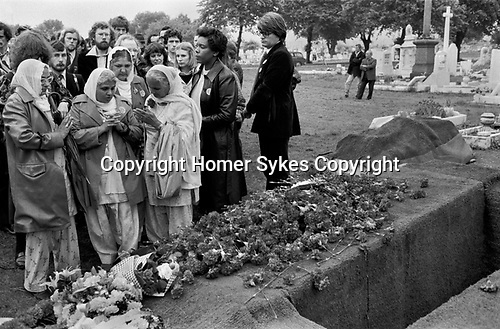 Members of the Sheik community leave red carnations at his graveside.